In the mid-1970s Oakworth's renowned four-man bowling attack of Richard Harris, Jeff Hobson, David Greenwood and Dennis Bottomley was breaking up and new resource was required. One of the last places Oakworth might turn was perhaps Haworth Methodists, long term rivals, but that's whence one of Oaks greatest bowlers came forth. Jeff Moor was 29 and arguably at the peak of his career, which had started at some years earlier at Steeton, later finding its way to Haworth. 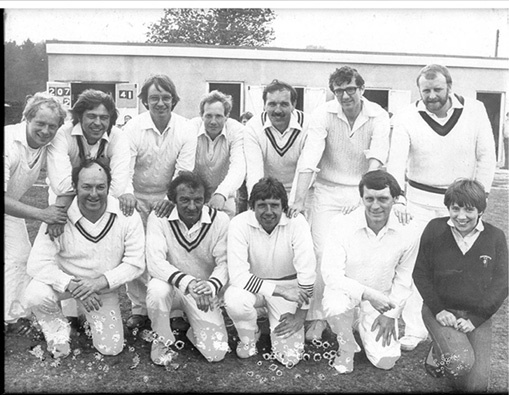 Jeff made his Oakworth debut in the first match of 1976 on 24th April against guess who? - Haworth Methodists. He returned amodest 2-23 against his old team-mates. By 12th June he had his first Oaks five-for, 6-19 at Morton and his wicket-taking career was well and truly under-way. Perhaps his proudest moment came in 1977 as a key member of the first Oakworth team to win a Cup competition. Our opposition came from Ingrow, who won the toss and asked us to bat. Openers Colin Greenwood and Barry Sayer put on 117 runs for the first wicket before Greenwood was out for 51 at 6.30pm. The match was affected by interruptions for rain and Barry was fourth out for a magnificent 88 at 7.15 pm. A late flurry of 31 in 27 minutes by Jeff Inman helped Oakworth to a final total of 213 for 8 . Jeff Moor and Dennis Bottomley contained Ingrow batsmen beautifully with Moor having only 19 runs off his first 10 overs. Ingrow were all out the following day for 97 with Moor finishing with a fantastic 7 for 38 in 20.1 overs. And so after 62 years the First XI had some more silverware with the Keighley Charity Cup was in pride of place in the Oakworth clubhouse. One year on his first 8-for came along an amazing 8 for 4 against Morton Banks at Cure Hill. 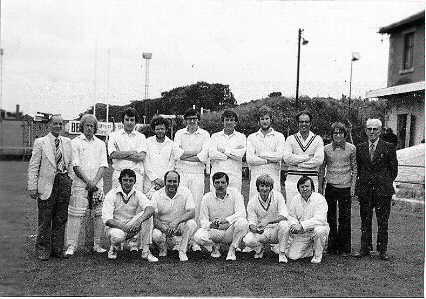 1978 brought 8-11 vs Eldwick & Gilstead. In 1979 Oakworth entered the Second Division of the Craven & District League and Jeff Moor led the attack with aplomb and by season's end he had bamboozled many of the Division's batsmen such that his eight five-fors eclipsed the club record of the J Hey 7 which had stood since 1904 (equalled by Richard Harris in 1967 & 1968). Sadly now defunct Keighley Tech CC had reason to fear Jeff Moor for his 1981 8-for against them came at the cost of just 2 runs. It is the most deadly bowling ever witnessed from an Oakworth bowler. Any record, which stands for 78 years, is truly a great record. To break it is a monumental feat and Jeff Moor did that once again in 1982. The Hey-Stobbs joint bowling record of 69 wickets in a season had withstood many attacks from all Oakworth's leading bowlers. But it fell to Jeff to do just that in the Oakworth second season in the First Division of the Craven & District League. Including 8-30 vs Glusburn, the tally of 73 wickets from 295 overs is one of Jeff's many achievements for Oakworth. In 1984 Oakworth's Cup run facilitated Jeff taking 93 wickets, then a club record in another dominant season. 714 First Division wickets in 15 years testify his ability to roll over teams at a strike rate of one every 4 and a-half overs. His economy rate (45) didn't suffer either as his deadly in swing kept most batsmen in awe of his talent. 56 league (plus 13 in Cup matches) five-wicket hauls were streets ahead of all his rivals and all at a career average of 12 runs each. Jeff's career includes a hat trick in 1980 v Gargrave and a 9-timer in 1983 v Pendle Forest. Finally Jeff is one of only two Oakworth non-wicket keepers to have taken four catches in a match (23rd August 1986 v Bradley). Like Wilfrid and Barry he has two Cup Winners medals to add to his League bowling prize of 1979. 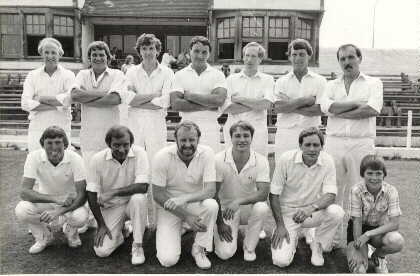 Jeff is pictured above, 2nd from the right in the back row, as a member of the highly successful 1981 Division Two Championship winners. He is also in the picture above left, 3rd from the left back row, as a member of the 1984 Keighley Cup winning Oakworth team.